​Will Harvey was born in Hartpury on 26 March 1888 and spent his formative years at the Redlands, a farm in Minsterworth. His father was an increasingly successful farmer and horse dealer. The death of his father, his religious upbringing and the rural life and characters that he knew, would all have a profound impact on his life and work. He attended King’s School but seeking a better education and opportunities for her eldest son, his mother sent him to a to a prominent public school, Rossall in Lancashire. He only coped with this profound transition and the class based resentment of his school peers by making them laugh and reciting verse. He was pushed into a legal career at the family solicitors, Treasures of Gloucester when he returned to Gloucestershire. His preference was to sail a boat, ‘Dorothy’ on the River Severn, take long walks and discuss music and literature with his great friend Ivor Gurney. He went on the ‘Grand Tour’ of Italy with his brother Eric. He was sent to London to cram for his legal exams and later to Chesterfield to complete his legal training; both were unhappy experiences. He unexpectedly returned from Chesterfield in the spring of 1918, this had remained unexplained although he describes a traumatic love affair in his semi-autobiographical novel, A War Romance, not published until 2014. He was at a loose end when War was declared in 1914, and believing the war was a just response to German aggression and militarism he and his bother Eric, promptly enlisted. The war was bookended by tragedy, his younger brother Bernard was killed in a road accident in 1914, and close to the end of the war in September 1918, his highly decorated brother Eric was killed in action. ​Will Harvey lived a Bohemian lifestyle, rejecting material values, and often recklessly gave away his professional services and income. This impacted on his later life. He was distressed at the outbreak of a Second World War in 1939, in which his son was badly wounded, believing the First World War should have been the war to end all wars. His deteriorating mental health was attributed to the impact of the war and his imprisonment by his GP, Dr Bill Tandy, in his book A Doctor in the Forest. He died in February 1957 and was buried in Minsterworth. Leonard Clark in his eulogy wrote he was ‘a poor man as the world understood riches, but how many he enriched with his simple goodness and fidelity.’ His work continued to be popular and he featured in a BBC radio tribute on the Home programme shortly before his death. Will Harvey is a major influence on Forest writing and his love of the natural world and poetic expression had a direct impact on Leonard Clark, his protégé. Clark would later be hugely important in teaching poetry in schools internationally, and his own cannon of work owed much to the influence of Will Harvey. Will Harvey was a pioneer of dialect poetry, having acquired the ability to speak in Gloucestershire and Forest dialects. 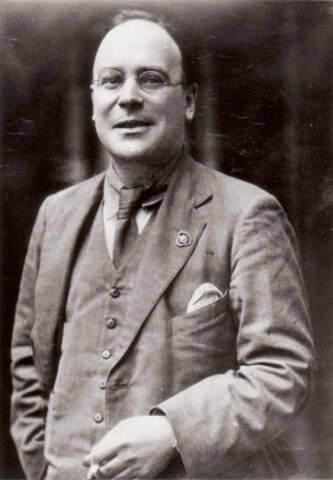 Harry Beddington, the Forest dialect poet, was a great admirer of Will Harvey and later produced his own works in dialect and performed Harvey’s verse in his live performances. 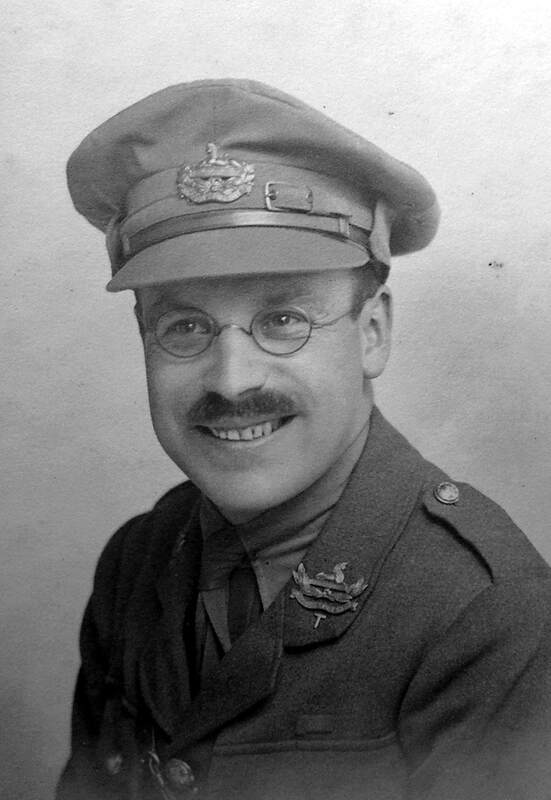 On a national level, Harvey’s war poetry has gained more significance as reflecting the authentic voice and experience of the British Tommy, and uniquely, the experience of the PoW. In 2012, a hoard of his papers was discovered at his home, ‘Highview’ in Yorkley, and these were donated to Gloucestershire Archives. This led to the discovery of an unpublished manuscript, A War Romance, that was published in 2014. The book provided the basis of a play that was performed at Cheltenham’s Everyman Theatre in 2014 to commemorate the centenary of the outbreak of the First World War in Gloucestershire. Will Harvey’s life was commemorated on a memorial in Gloucester Cathedral in 1980, and a stained glass window at Minsterworth Church in 2015. He enlisted in the 5th Battalion of the Gloucestershire Regiment. After enlistment, he took his final step to Catholicism, a faith he had been attracted to for some time. He was popular with officers and men, defending one of his colleagues from a charge of failing asleep at his post and contributing poems and prose to the Fifth Gloucester Gazette, a trench newspaper that preceded the more famous Wipers Times. In France, he shared the stark realities of trench warfare with his comrades, and paradoxically, these were both the most dreadful and happiest times of his life. In August 1915, he was awarded the Distinguished Conduct Medal for Gallantry. His writing and heroism singled him out in newspaper reports and he became well known. Later in 1915 he was recalled to England and commissioned, returning to France with the second line battalion, the 2/5th Gloucestershire Regiment. His commanding officer said, with tongue in cheek, that he had commissioned him so that he could be allocated a batman to keep him in order as he was generally so untidy. He was captured in August 1916, and he was subsequently held in six different camps. He made several escape attempts and devoted his spare time to writing. He became increasingly depressed by his confinement until he was transferred to internment in Holland and returned home in early 1919. He married Anne Kane in 1921, and lived in Swindon while he completed his legal training. They had two children, Eileen Anne (born 1922) and Patrick (born 1925). He lived in a number of villages, Cranham, Broadoak and Pillowell before settling at Yorkley in ‘Highview’ in 1925. His reunion with Ivor Gurney was sadly brief caused by Gurney’s breakdown in 1922. He had an office in Lydney, but was bored by work given him by the Watts family, to whom he was related. 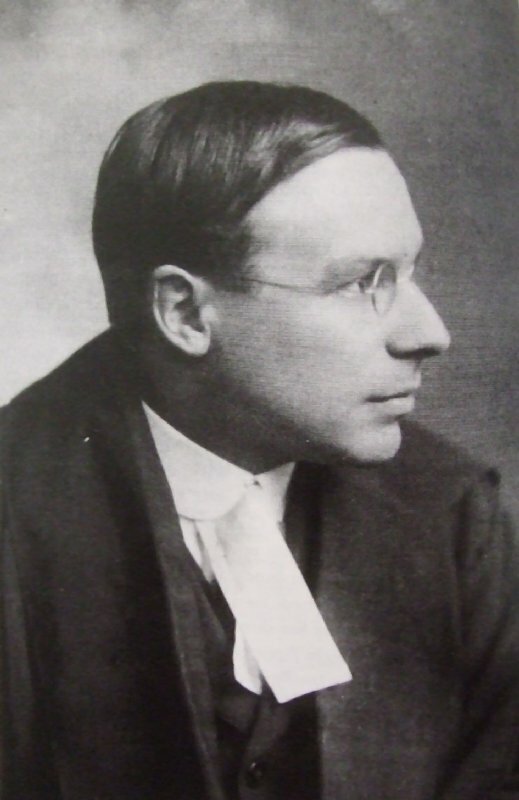 He gave up his office and worked mostly as a defence solicitor from his home (his own captivity convincing him that incarceration was destructive and pointless), and became known as the "poor man’s solicitor". Harvey's gift for oration, versatile voice and scripting led him to become a popular broadcaster at the BBC, Bristol, where he used his popularity to promote the Forest of Dean, its people and traditions. He wrote and co-produced a series of innovative plays including ‘Gunters Farm’, a story of rural life, using untrained local people with accented voices, unprecedented at the BBC. He promoted local choirs, musicians and young writers such as Leonard Clark and Ivon Adams. He was friends with Rutland Boughton and the local MP, Morgan Philips Price, who worked with him to promote the arts and the interests of Foresters. He was prominent in the movement to establish the Forest of Dean as a National Park in 1944. ​Will Harvey’s contributions to the Fifth Gloucester Gazette were acclaimed when they were read at home and published in newspapers. With advocacy from his mother, sister Gladys and Bishop Frodsham, his first volume of poems, A Gloucestershire Lad at Home and Abroad, was published in September 1916, shortly after his capture, and he was not immediately aware of its success. Captivity focused his energy into writing, and poems were sent back to England for publication. His second collection, Gloucestershire Friends, appeared in 1917. He also wrote plays for the camp dramatic society and stories for camp magazines. After attempting an escape and subsequent solitary confinement, he saw that a fellow prisoner had drawn a picture of ducks over his bed. This inspired his most celebrated poem that formed the title of his third collection, published in 1919, Ducks. In 1920, before the flood of war memoirs of the 1930s, he produced a novel Comrades in Captivity, describing his experiences as a prisoner-of-war, and interlaced the account with a philosophical treatise concerning ‘distributism’ a school of ideas generated by G.K. Chesterton and others, that concerned a fairer distribution of wealth, and his ideas for a league of nations and a better England after the war. The book was again critically acclaimed but was published in the shadow of the war when most people wished to forget their experiences, and did not sell well. He signaled his departure from writing poetry professionally, when he committed to his family and legal career, with the publication of Farewell in 1922. This, and September and other Poems published in 1925, were critically acclaimed as some of his best work, but the move towards modernism diminished public interest and they were not as successful as his early volumes. In 1926 his literary achievements were celebrated in an anthology in the Augustan Books of Modern Poetry series, edited by Edward Thompson. Local publishers produced two volumes of poems, In Pillowell Woods in 1926 and Forest Offering, after his death, in 1962. These and a selection produced in 1947, Gloucestershire: A Selection from the Poems of F.W. Harvey, contained many local references and reflected his appreciation of the Forest. A Gloucestershire Lad At Home and Abroad (1916). Boden, A., Thornton, R.K.R., eds. (2011). F.W. Harvey: Selected Poems. The poems of F.W. Harvey are reproduced in countless anthologies and collections.